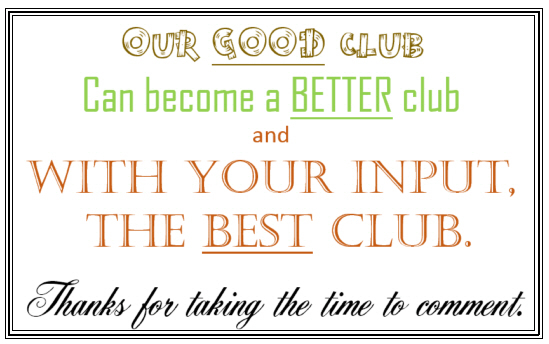 Metro Dance Club Board Members invite your comments on any aspect of our club: the bands, songs, intermissions, food, membership cost …. You get the idea — anything that is on your mind — suggestions, complaints, compliments. This is the place.